Headquarted in Torrance, California, Virco has been a longtime supplier of school furniture and equipment. From supplying K-12 to community colleges and four year universities, Virco has been a leading name in the industry. Their products remain an example of the high quality standards set forth by American manufacturing. This table, for instance, serves the needs of libraries, offices, and research centers. In order to remain as reliable as possible, Virco uses Budwig recessed rubber bumpers to keep their products stable and secure. 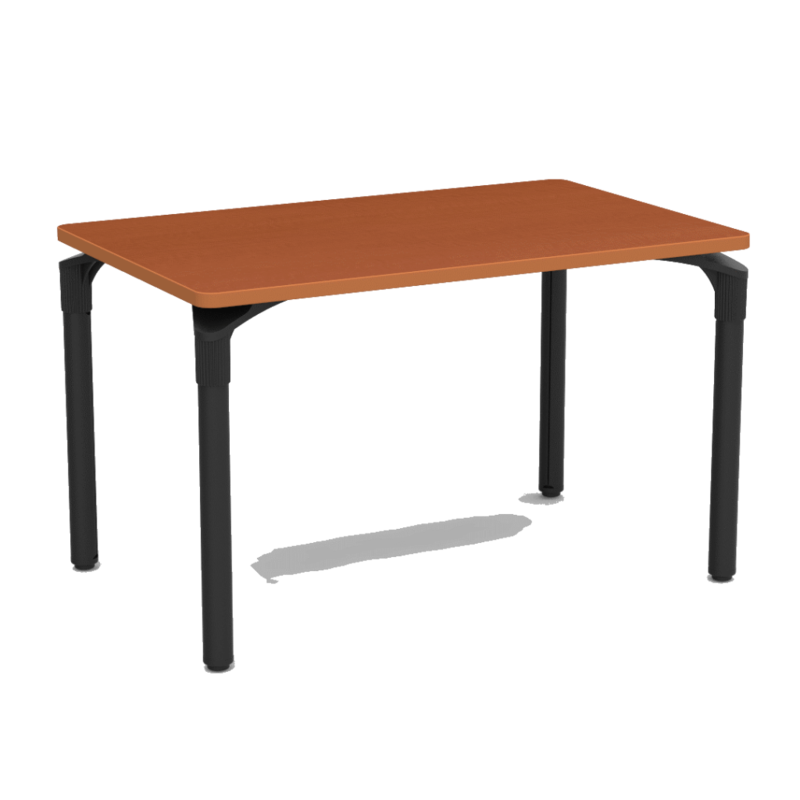 Tables like the Plateau Series use Budwig part number SF6T-TPR87-MG. These pieces allow for optimum shock absorbency and help to prevent floor marking, all while extending product lifespan. Budwig Molded Products strives to put quality above everything else, which is why we use premium thermoplastic rubber, separate bad parts and misfires, and regularly upgrade our machine tooling. Our piece catalog is available here. Should our parts not meet your specifications, be sure to inquire about our custom capabilities. And if for any reason you are unsatisfied with your shipment, you have 21 days from the invoice’s shipment to request a return. We fully stand behind our rubber feet and look forward to helping you with your next project.